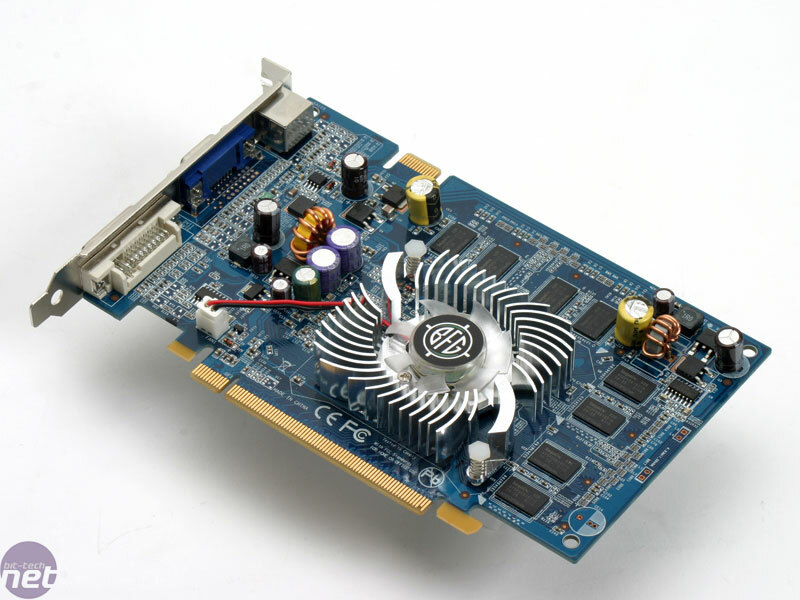 At CeBIT this year, NVIDIA announced the GeForce 7600 GT video card, which is designed to continue on the success that the company had with its GeForce 6600 GT video card. The GeForce 7600 GS is its baby brother - it's based on the same G73 core, but comes equipped with DDR2 memory and more modest clock speeds. You may or may not have heard of 3D Fuzion - it's a brand run by BFG Tech that focuses on offering better value for money than the company's premier brand. There are a number of areas where BFG Tech manages to do this and we will have a look at them in due course. 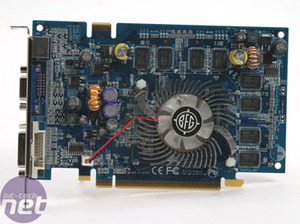 Today we are evaluating the company's GeForce 7600 GS product. The box design is very similar to the one that BFG Tech uses on it's BFG Tech branded products, although there is no window in the front, meaning that you can't see what's inside the box. Although this is a minor difference, it's quite a large one in my opinion. I'm quite a fan of the see-thru box design, as it means you can see what heatsink you're going to get on the video card (should you be buying in a retail outlet). It's not going to make much difference if you're buying from an online retailer, though. Included in the box, there is an HDTV dongle, a single DVI-to-VGA converter, a quick install guide, a guide that explains the HDTV dongle, and a driver CD. The bundle is bare, as one would expect from a product with value for money at the top of the list of requirements. With that said though, BFG Tech / 3D Fuzion has included everything requried to use all of the connections on the back of the card. The card itself is packed in an anti-static bag inside a vacuum-formed plastic insert. There is also a piece of bubble wrap on the top of the card to stop it from being damaged during transit. 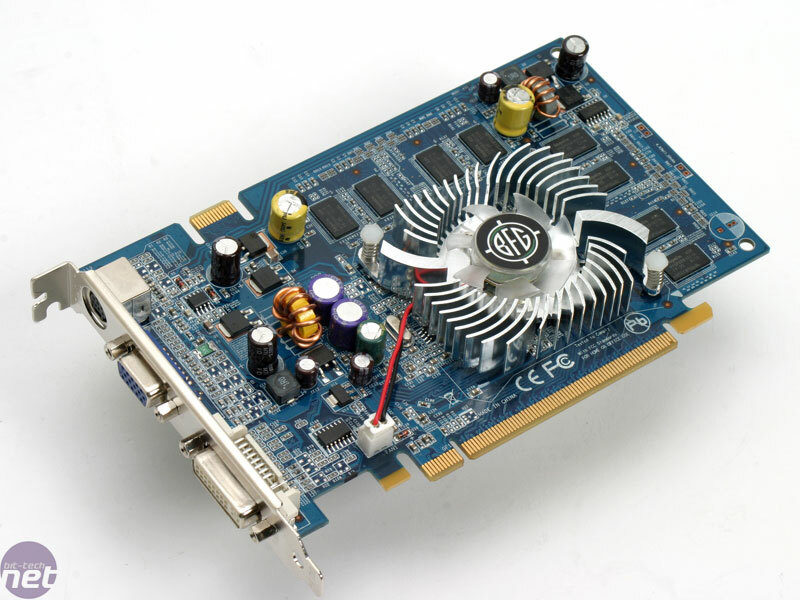 Physically, the card has a blue PCB and it comes with an aluminium heatsink/fan combination. Rather strangely, the fan has a BFG Tech logo in the centre - we're not quite sure how far apart BFG Tech is positioning the two brands. Moving back to the card though, the fan spins at one speed, which was subjectively quite loud on our test bench. The good thing is that - although the fan is a little loud - it spins at a consistent pitch, meaning that the fan wasn't verging on annoying. In that respect, it's probably about as loud as the reference cooler on the GeForce 7600 GT. 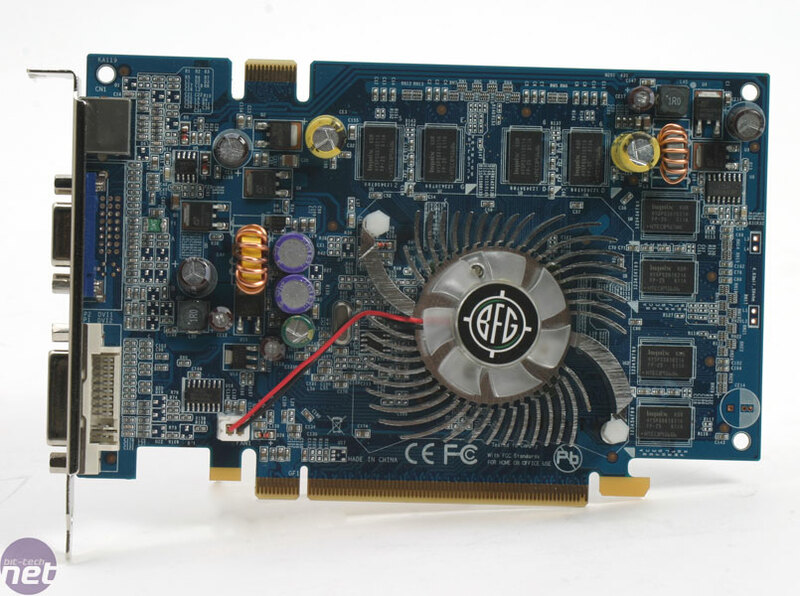 The board design is BFG Tech's own and differs from the reference design somewhat. 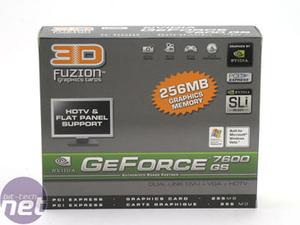 The 3D Fuzion GeForce 7600 GS comes clocked at 400/840MHz - these are slightly higher than the reference clocks of 400/800MHz. 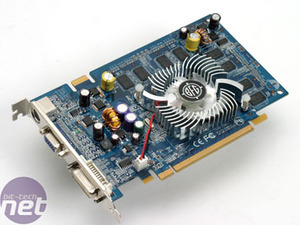 Just like the GeForce 7600 GT, there is no need for any additional power because the power requirements don't exceed the 75W that a PCI-Express x16 slot is capable of delivering. 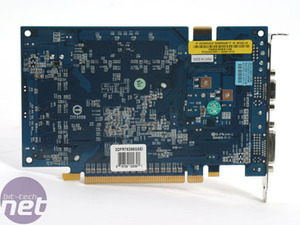 There are eight Hynix 2.5ns DDR2 DRAM chips on the card sharing the 128-bit (2x64-bit) memory interface - these are rated at 800MHz effective, so the DRAMs are slightly overclocked. It will be interesting to see how this card overclocks. 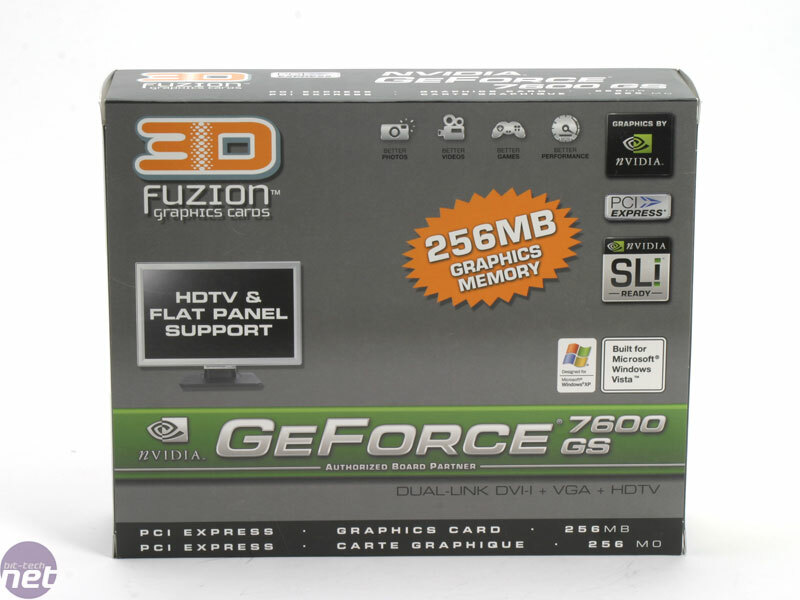 Finally, it is interesting to see a mid-range video card that comes with only one DVI port in this day and age. Again, it's another area where the company is looking to reduce its costs. 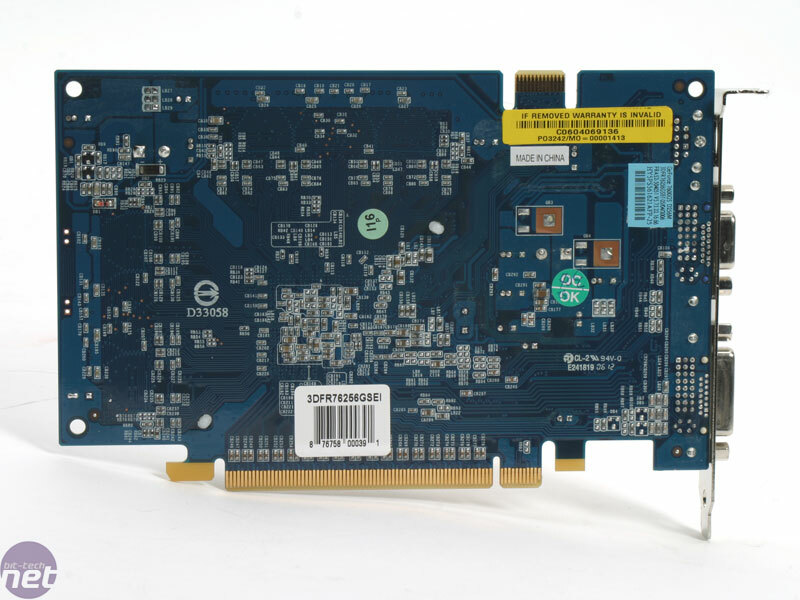 Thankfully, the lone DVI port does have dual-link capabilities and we have tested the card on a Dell 3007WFP. Warranty: BFG Tech / 3D Fuzion includes a two year warranty with its products once you have registered the purchase with them. The warranty is limited to the repair or replacement of the product if it was faulty and it is non-transferable or assignable. 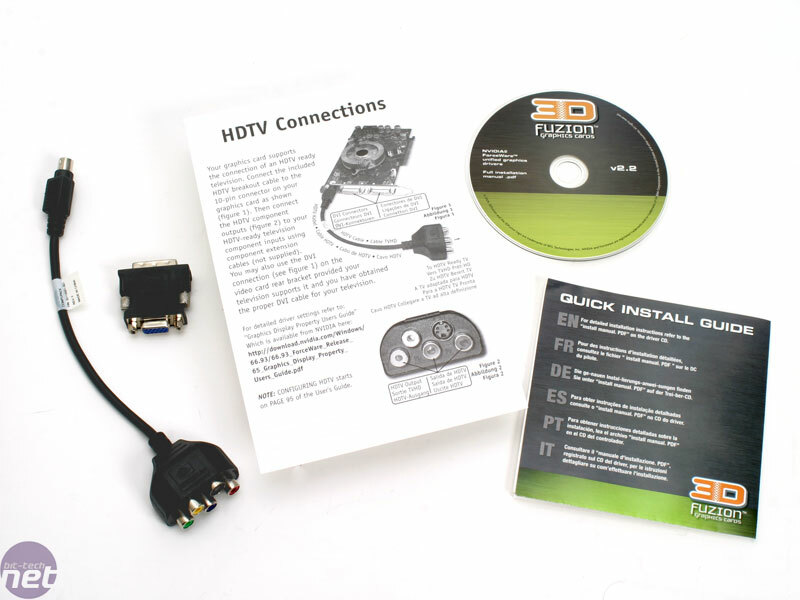 You can read the full warranty details for 3D Fuzion products on the company's home page. This is another where the company saves some money - all video cards in its premium BFG Tech line up come with a lifetime warranty.